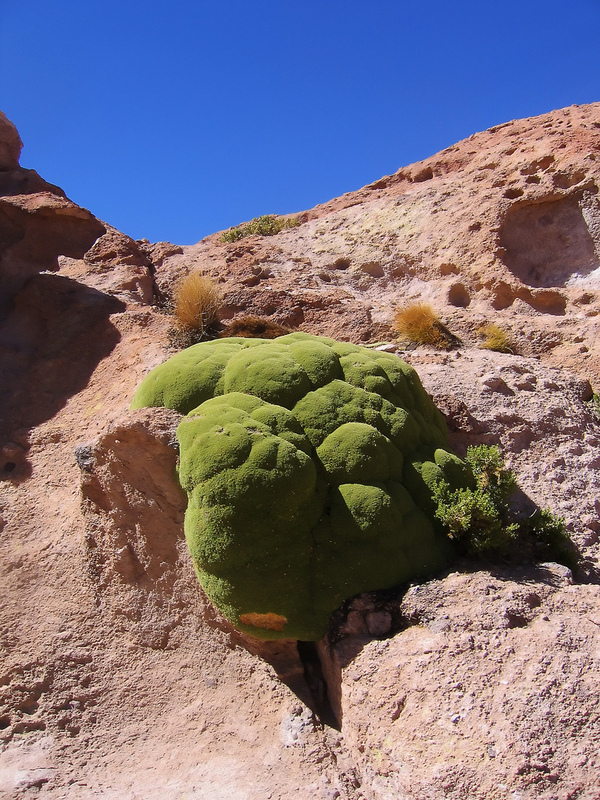 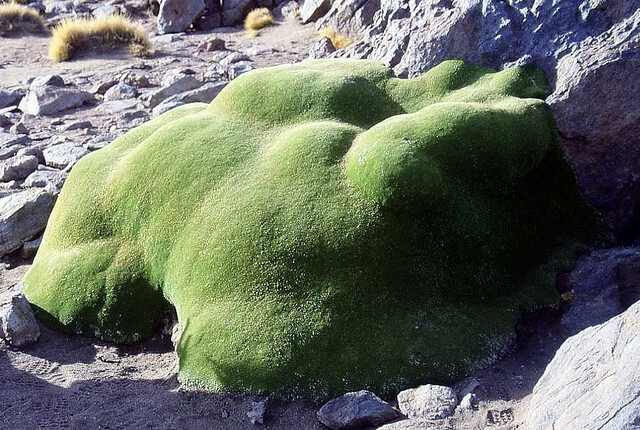 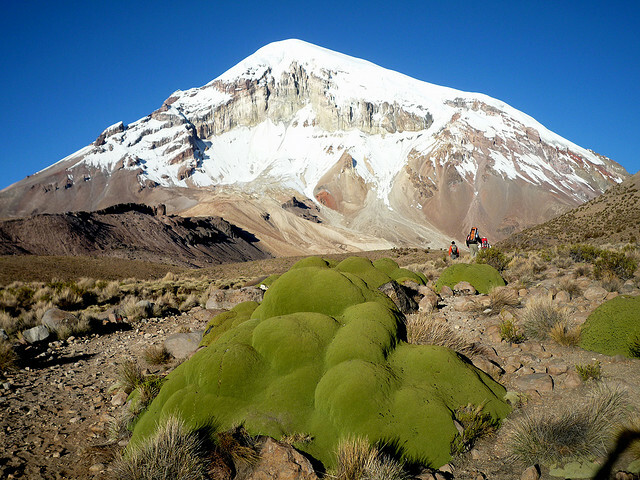 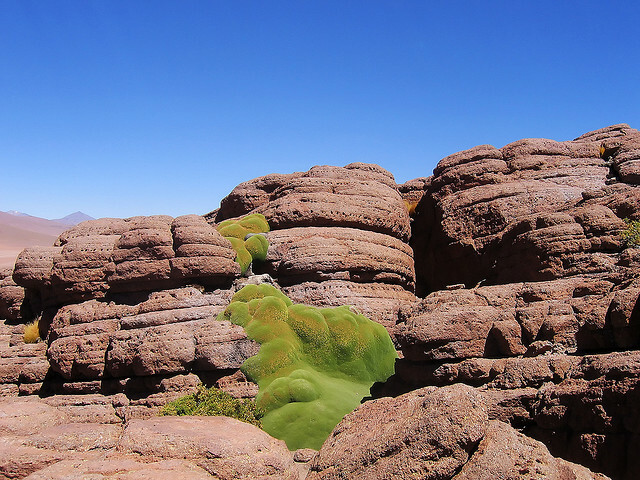 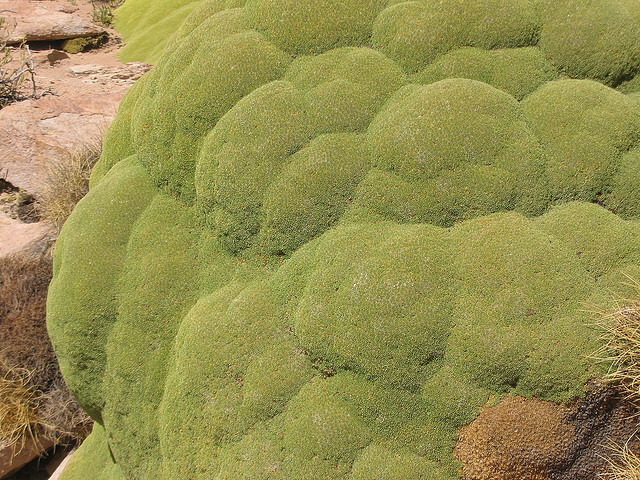 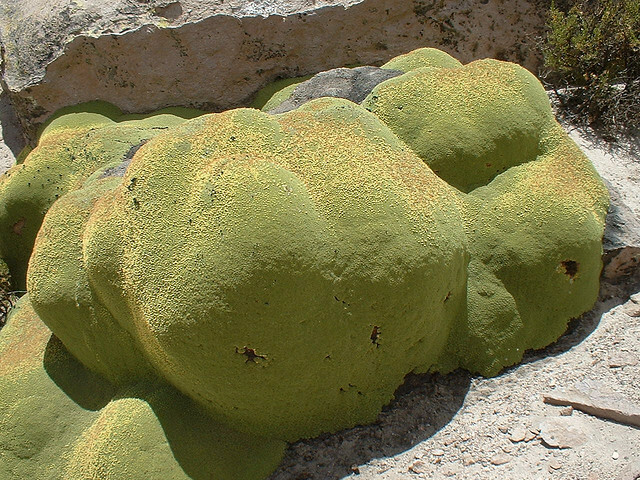 “Yareta (Azorella compacta, also known as “Llareta” in Spanish) is a tiny flowering plant in the family Apiaceae native to South America, occurring in the Puna grasslands of the Andes in Peru, Bolivia, the north of Chile and the west of Argentina at between 3200 and 4500 metres altitude. 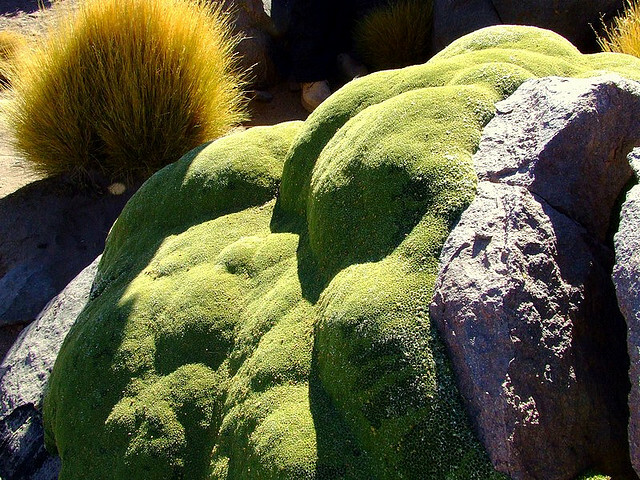 Yareta is an evergreen perennial being in leaf all year. The flowers are hermaphrodite and are pollinated by insects. 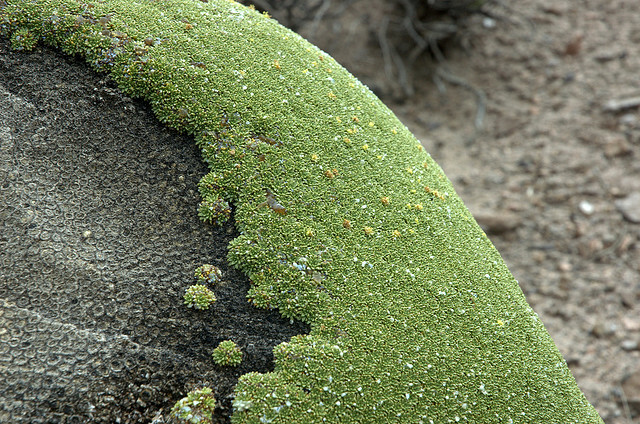 The plant is self-fertile. 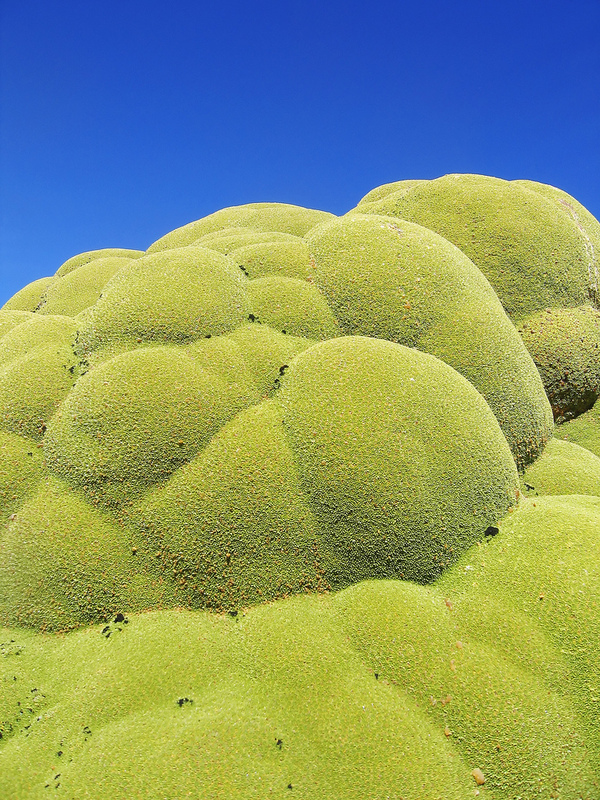 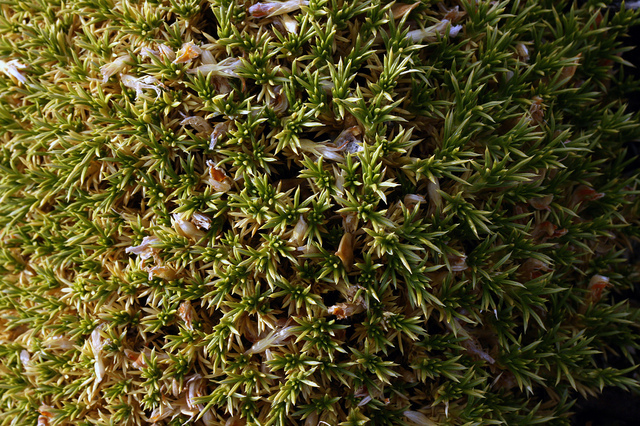 Yareta is well-adapted to high insolation rates which are typical of the highlands, and cannot grow in shade. 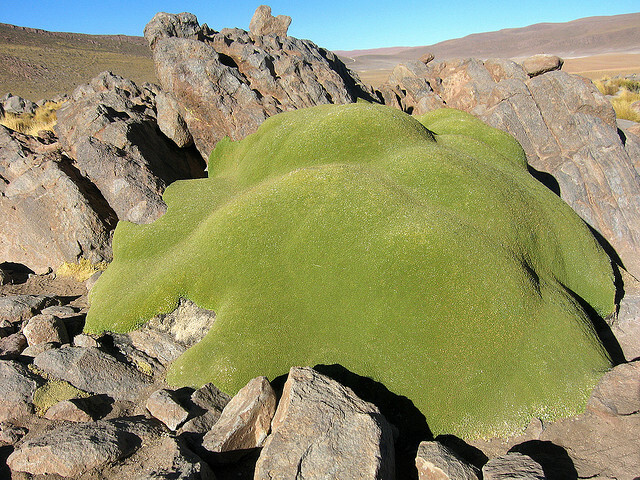 The plant grows in a very compact way in order to reduce heat losses and very close to ground level where air temperature is one or two degrees Celsius higher than the mean air temperature. 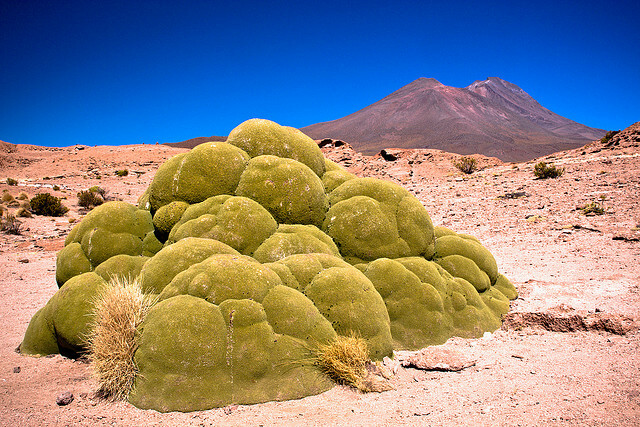 It is so compact in fact that locals have for many years collected yareta (with pickaxes) to use as fuel for cooking.